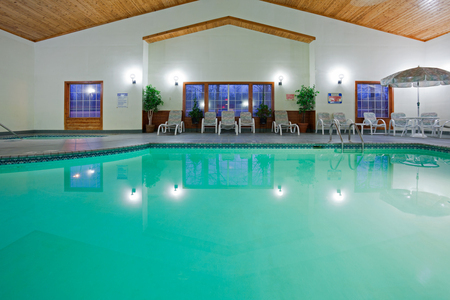 Featuring a convenient location just off Highway 10, the Country Inn & Suites® by Radisson, Detroit Lakes, MN provides a quiet retreat within driving distance of a variety of local attractions and recreational areas. Home to sparkling Minnesota lakes and abundant hiking and skiing trails, the Detroit Lakes region is an ideal destination for outdoor enthusiasts. Soak up the sun at Detroit Lakes City Beach, just over two miles from the hotel, or hit the links at Detroit Country Club, seven miles away. If you’re visiting over the summer, don’t miss fun events like the WE Fest country music festival at Soo Pass Ranch or the family-friendly Northwest Water Carnival. Traveling with family? Book our One-bedroom Suite, which features a private sleeping area with a king bed and a separate living room. 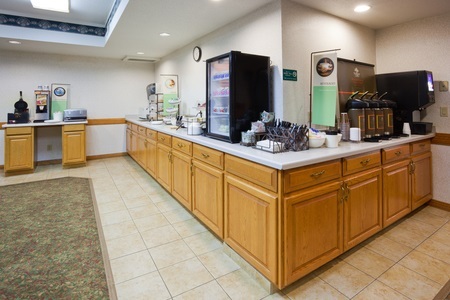 Delight your senses each morning with the free, hot breakfast at the Country Inn & Suites. For a healthy start to your day, choose from a tantalizing selection of cereals and yogurts. Ready for lunch or dinner? Explore the area to discover local favorites like Brygge Taps & Tastes, which serves a variety of burgers, sandwiches, wraps and wings. Detroit Lakes City Beach – This mile-long expanse along Little Detroit Lake offers sunbathing, swimming, boating, fishing and more. 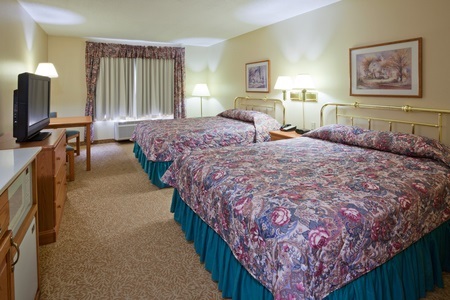 The beach lies just five minutes from the Country Inn & Suites. Detroit Mountain Recreation Area – Wintertime visitors can find adrenaline-pumping fun at this outdoor recreation area a seven-minute drive from the hotel. Bundle up and hit the slopes for a day of skiing and tubing. Detroit Country Club – Challenge yourself to two separate 18-hole golf courses at this facility located just over seven miles from the hotel. Take in scenic views of Lake Sallie and Lake Melissa while chipping, putting and driving on the manicured greens. Hosting a birthday party, bridal shower or family reunion in Detroit Lakes? Our hotel offers 500 square feet of event space perfect for your upcoming social gathering. Our flexible facilities can accommodate up to 49 guests and include perks like free Wi-Fi and tables and chairs that can be arranged in a variety of configurations. 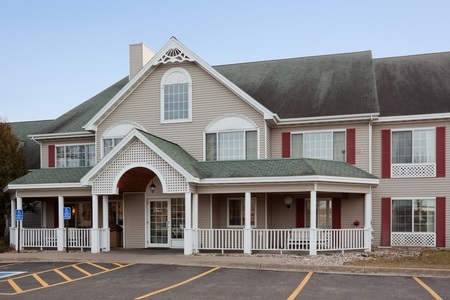 Featuring a convenient location just off Highway 10, the Country Inn & Suites® by Radisson, Detroit Lakes, MN provides a quiet retreat within driving distance of a variety of local attractions and recreational areas. Home to hot sparkling Minnesota lakes and abundant hiking and skiing trails, the Detroit Lakes region is an ideal destination for outdoor enthusiasts. Soak up the sun at Detroit Lakes City Beach, just over two miles from the hotel, or hit the links at Detroit Country Club, seven miles away. If you’re visiting over the summer, don’t miss fun events like the WE Fest country music festival at Soo Pass Ranch or the family-friendly Northwest Water Carnival. Hosting a birthday party, bridal shower or family reunion in Detroit Lakes? 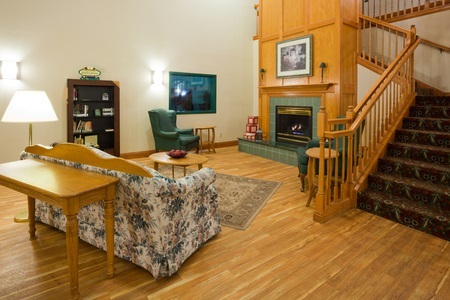 The Country Inn & Suites offers 500 square feet of event space perfect for your upcoming social gathering. Our flexible facilities can accommodate up to 49 guests and include perks like free Wi-Fi and tables and chairs that can be arranged in a variety of configurations. Start planning your event today!